. . . [The music] flows, it tingles . 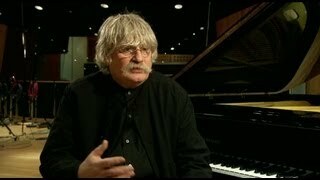 . . "Pink" emerges very prettily, with a catchy tune, a cocktail piano and an engaging instrumental mid-section . . .
. . . expect lively Latin rhythms, trumpets a-plenty, and some of Karl Jenkins' trademark Adiemus close-harmony singing . . . the music gradually builds in intensity . . . unmistakably Adiemus . 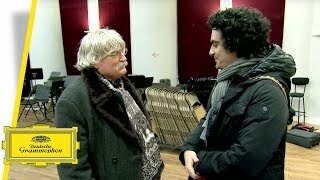 . . [Canción turquesca]: Rolando Villazón's unmistakable vocals alone bring incredible depth to this bittersweet song. And Milos is back once more, adding with a touch of Montenegrin passion into the mix . 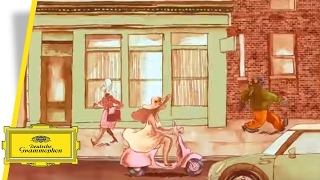 . . [a] relaxed jazzy feel running through the album . . . A high-energy trumpet solo from Pacho Flores, the Venezuelan trumpeter, ensures the album ends with a bang.
. . . featuring the incredible talents of Mexican tenor Rolando Villazòn and Montenegrin guitarist Milos Karadaglic . 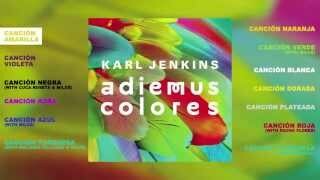 . .
Watch the short EPK of Karl Jenkin's upcoming new "Adiemus Colores" on Deutsche Grammophon, release in July 2013.